What is the secret behind the quality of Old Holland products? They are the result of traditional experience, technological knowledge and consultations with artists from all over the world. 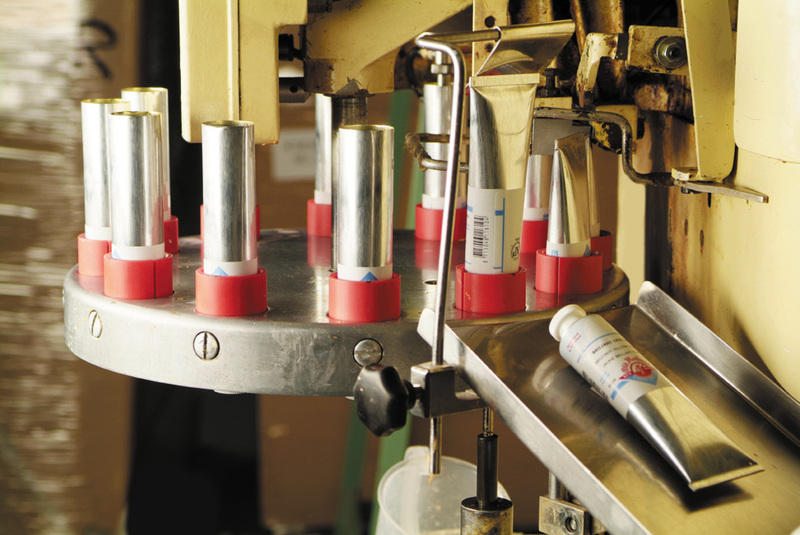 To guarantee the quality, we check our products at random several times during the traditional production process. 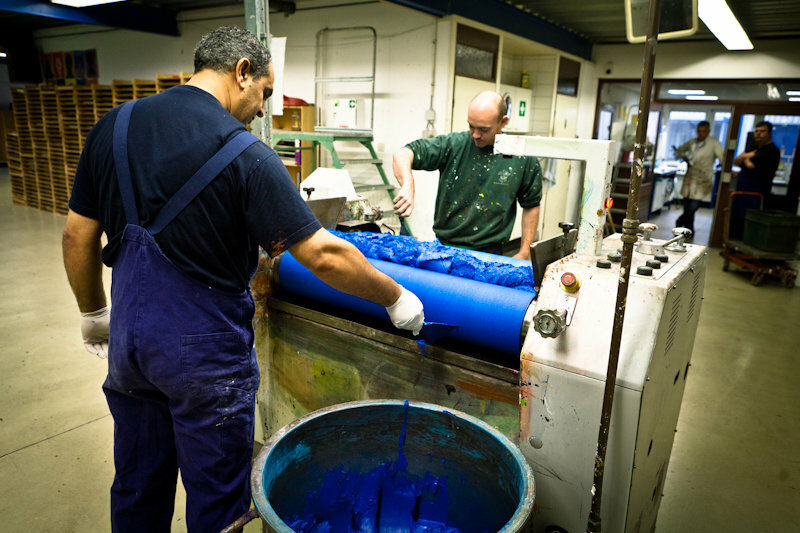 Take a look behind the scenes and discover how we make your colours. 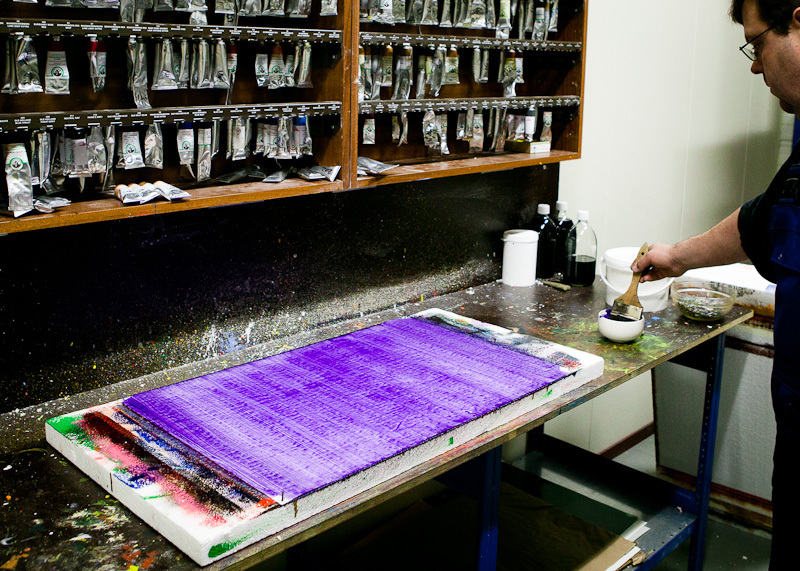 We only select your paint’s pigments and binders after thorough testing. 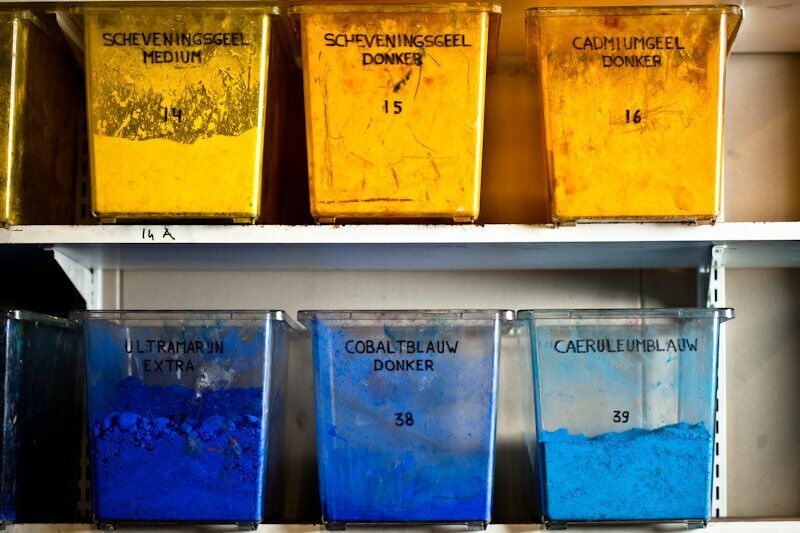 We mix your paint’s pigments with linseed oil. 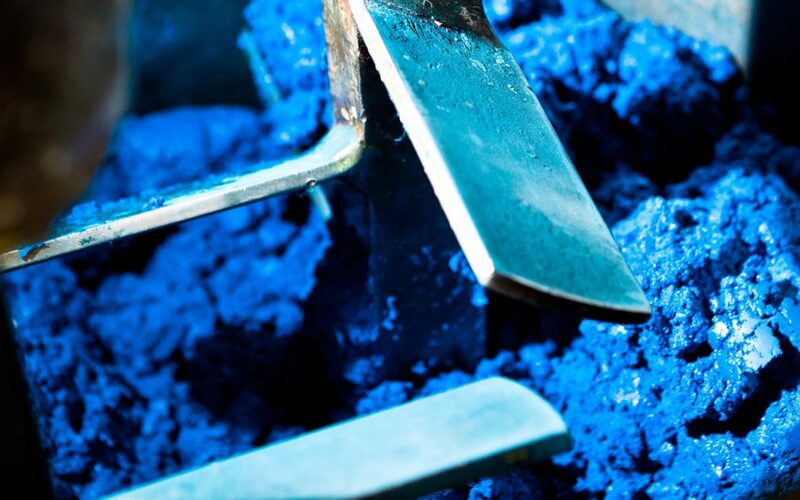 To make your paint as stable as possible, for some pigment types, we grind the first mixture several times on a ‘triple roll mill’. 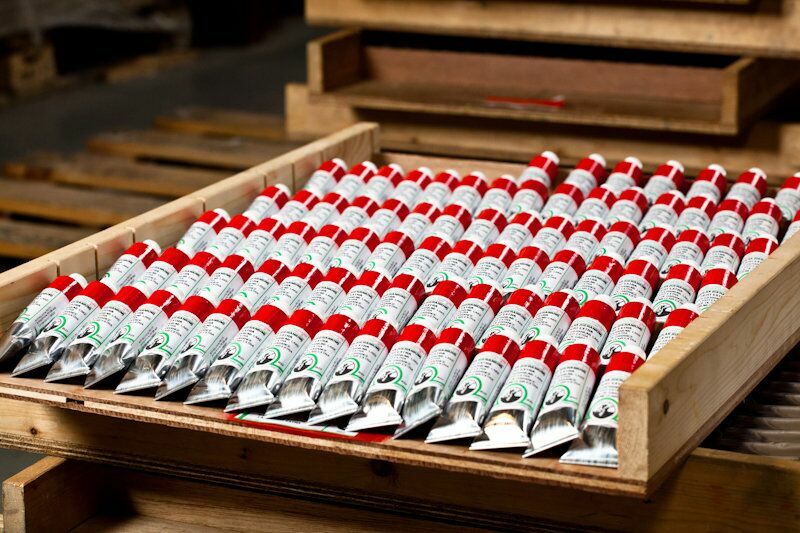 Once your paint is ready, we fill your tube by hand. We close your tube fully airtight. 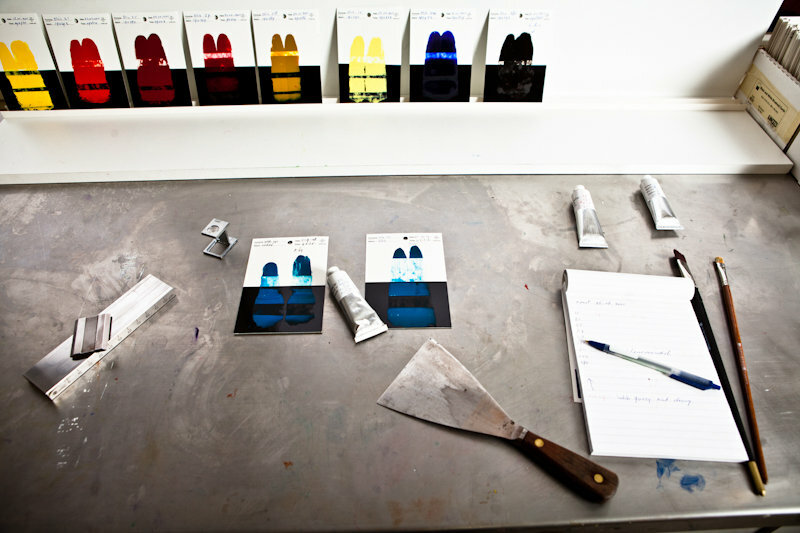 We paint your tube’s colour example by hand on large sheets of paper. Your tube of paint is given a hand-painted colour example and a label. 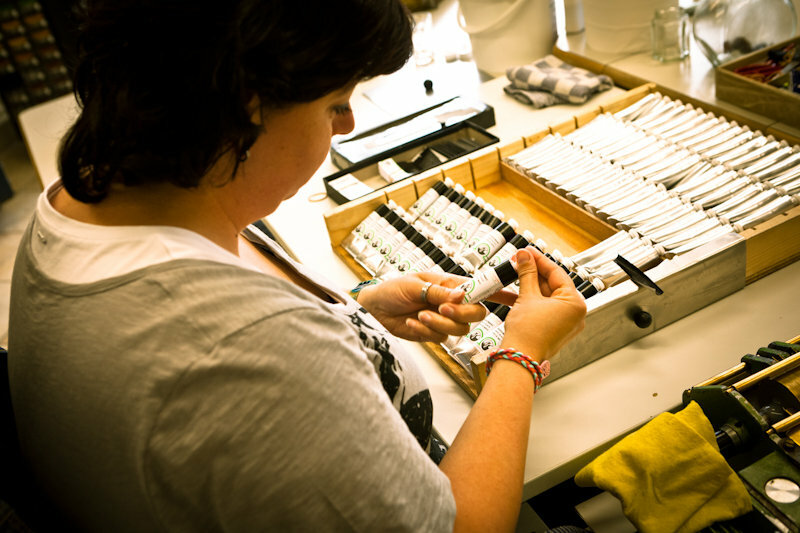 To guarantee that your paint is of top quality, we check different tubes per colour at random in our laboratory. Your paint is ready for dispatch to your shop.